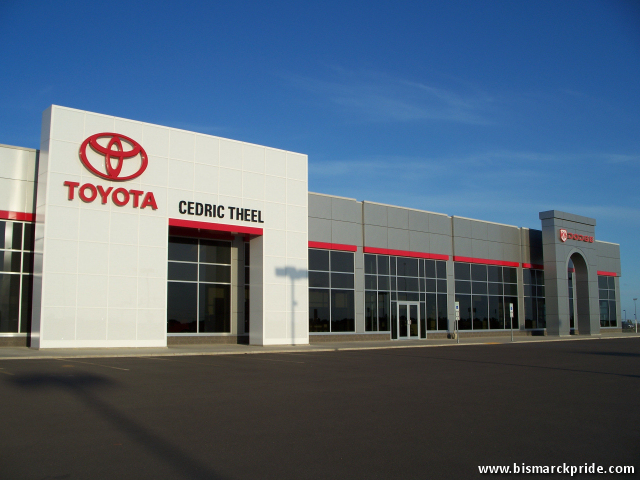 Cedric Theel is a local dealership that currently features Toyota and Scion lines, and previously the Dodge lines. Cedric Theel was established as a Dodge dealership in 1985 at its original location on Memorial Highway. They later introduced the Toyota line in 1992. In 2008, Cedric Theel relocated into a brand-new dealership in northeastern Bismarck. During the Auto Crisis of 2009, the company lost its Dodge line-up, which only accounted for about one-quarter of the dealership’s total sales at the time. Corwin-Churchill Motors has since picked up the Dodge line.